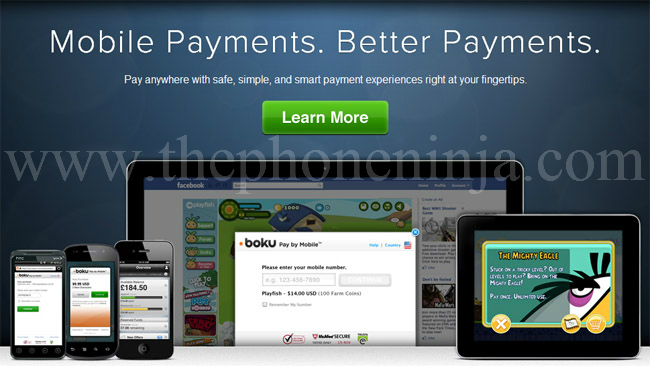 Online payments specialist BOKU has scored a deal with Sprint, allowing users to charge online purchases to their Sprint wireless bill through a simple two-step authorization process. Among the participating merchants are such companies as Electronic Arts, Riot Games, Jagex, Stardoll, Kingisle and Gaia Online, making sure every gamer will find something of interest. Purchases can be made right on the phone, tablet or PC, and once you submitted a purchase, you will be prompted to authenticate the payment, with the charge appearing on your monthly Sprint billing statement. In other words, you won’t be exposing any sensitive account information while using the service. On the other non-consumer side, BOKU’s technology allows developers, merchants and entrepreneurs to easily incorporate on-device purchasing into applications. BOKU’s API integrates with Sprint’s platform to allow on-device purchasing, advanced capture and transaction processing capabilities, along with the ability to pass refunds directly back to the customer’s account. Finally, it’s worth adding that with this agreement, BOKU is now processing mobile billing transactions for all 4 major US carriers, including AT&T, Verizon, T-Mobile and Sprint.